Due to manufacturer's restrictions we are unable to ship Skins products to Great Britain. 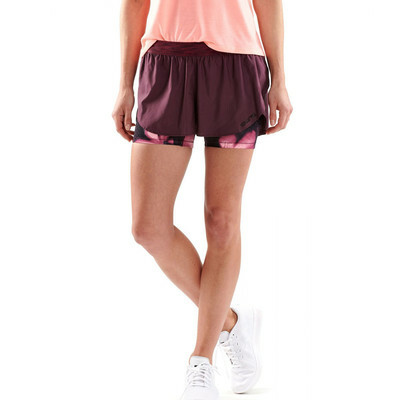 In need of a pair of active shorts that merge comfort and convenience with compression? The Skins DNAmic Women's Compression Superpose Shorts have got you covered. Skins hybrid athletic shorts come with built-in tights to boost performance and reduce fatigue and injury. "Very good price for this particular brand." "Fit nice and look nice canâ? 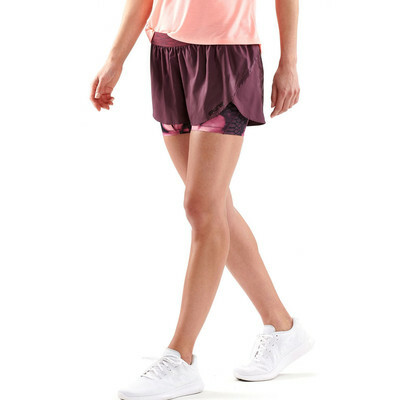 ?t wait to try them out when the weather is nice"
The outer shorts provide an athletic cut that maximises freedom whilst they boast quick dry, breathable fabric featuring stylish laser cut detail. The fabric used throughout the Superpose tights features a moisture management system that wicks excess moisture as it's produced. Once wicked the fabric transports the moisture to the outer layers of the fabric where it can be easily evaporated, ensuring you stay cool, dry and comfortable. The inner tights compress the muscles around the legs to enhance circulation which in turn increases oxygen delivery to active muscles and helps clear blood lactate. In addition, the half tights feature inseam panels to eliminate abrasion between the legs, keeping you comfortable and irritation free throughout your chosen workout. A comfortable, soft microfibre waistband anchors onto the hips preventing the half tights from slipping down during high-intensity activities. 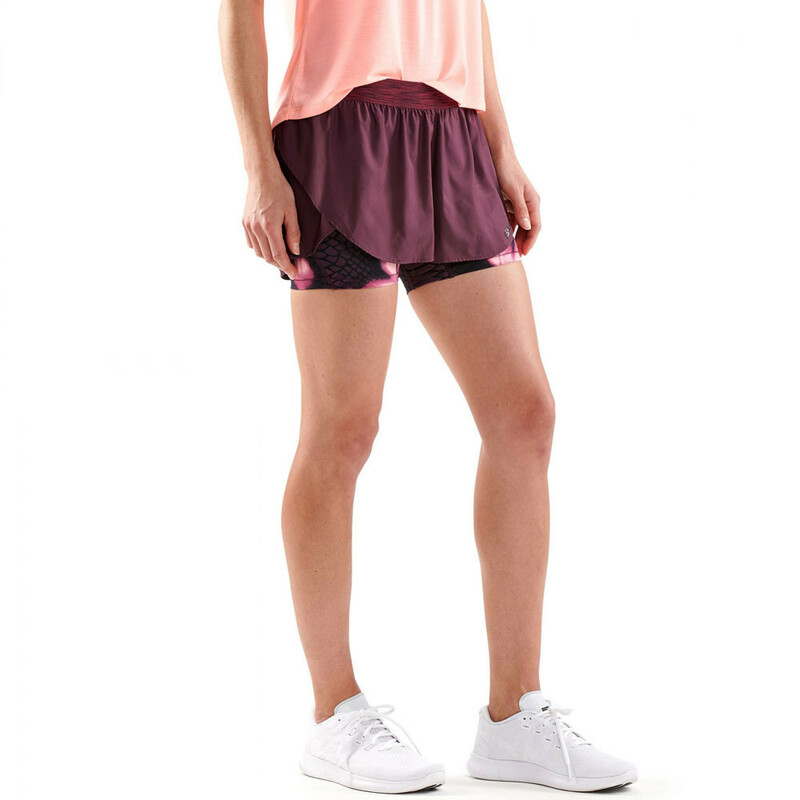 The waistband also acts to provide comfort during activities that require hip flexion. In 1996, an Aussie skier had a bold ambition to feel ten years younger so he could ski all day, party all night and be ready the next morning do it all again. His starting point was the knowledge that improved blood circulation would supply more oxygen to his muscles, helping them work harder for longer and recover faster. So he consulted with NASA and other experts to confirm he was on to something. Turns out he was. Athletic Cut - Maximises freedom of movement. Comfortable, Soft Microfibre Waistband - Anchors the shorts onto the hips. Material Composition (Half Tights) - 76% Polyamide / 24% Elastane. 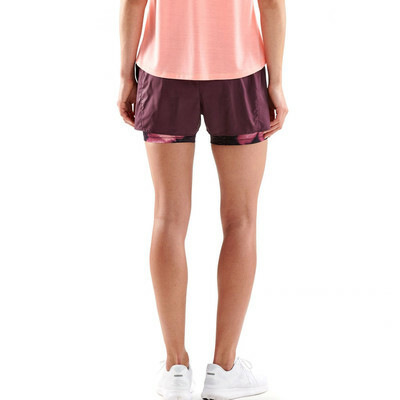 Material Composition (Shorts) - 100% Polyester.